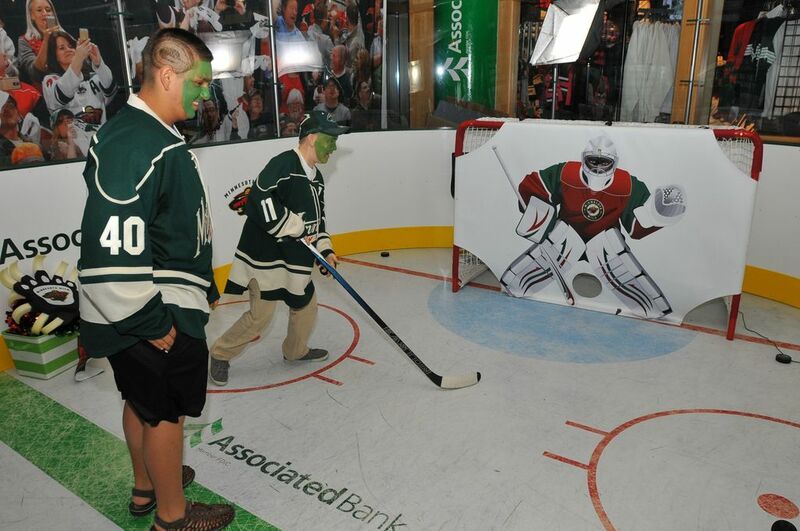 Fans are invited to test their hockey skills at the Associated Bank Power Play Zone at Xcel Energy Center during all Wild home games. ST. PAUL, Minn. – October 27, 2016 – With the start of a new hockey season, Wild fans have new, exclusive opportunities to show their pride and receive unprecedented access to their favorite team through Associated Bank. This season’s Ultimate Wild Fan Program features interactive in-arena, online and community activities, along with an opportunity to win a behind-the-scenes experience. Fans can test their hockey skills by shooting pucks and taking a photo “on the ice.” They will receive the photo instantaneously and by email. The Power Play Zone is located behind section 215. Also at the Power Play Zone, fans can enter a sweepstakes to win a ride on the Associated Bank Ice Cruiser during the second intermission. Two fans can bring one guest each to enjoy a ride each game. Wild fans know the best place to celebrate the team is at the arena. To celebrate these fans, Associated Bank launched its Win Big With The Wild Ticket Giveaway. Fans could win a pair of Wild game tickets and a trip to California to watch two Wild games. Visit https://www.associatedbank.com/wildfan. Fans can show their Wild pride with Associated Bank exclusive Wild Checks® and Wild Debit MasterCard®. This will include a $150 offer and a 15-percent discount at all The Hockey Lodge™ locations, the Wild’s official team store. Visit https://www.associatedbank.com/wild150. In conjunction with the Wild campaign, Associated Bank will conduct a community-wide dental collection in February in the Minnesota market.